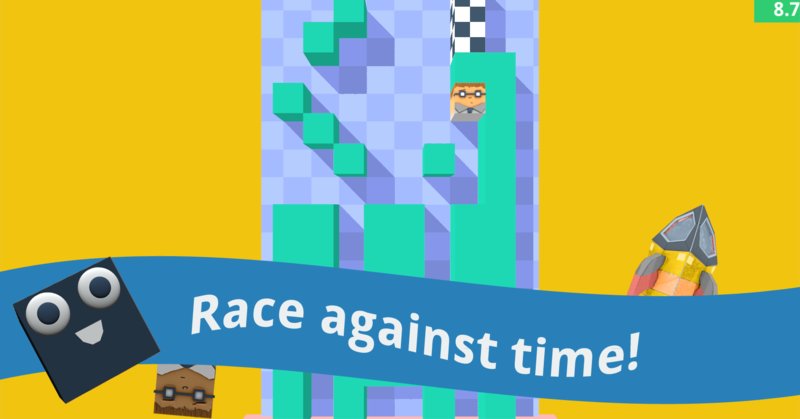 Slide Maze is a fast paced, challenging puzzle game that will test your mental and timing skills. Featuring 56 levels, unlockable characters, an in-game level editor, original music, and procedural sound effects. The main concept in Slide Maze is that you can only move the cube when it is finished moving, as if it were sliding on ice. You have to find a way to get it to reach the finish line of the maze. Once you've done that, you can find the fastest route and get the fewest moves in the least amount of time. To promote Slide Maze and grow its popularity (top games), use the embed code provided on your homepage, blog, forums and elsewhere you desire. Or try our widget.